Dustin and I volunteer in our Nursery and Kids' area at our church. Usually we are with the 1st through 5th graders. But occasionally we are asked to help out with the younger ones. This Sunday I was asked to help out in the 2 & 3 year olds. It was quite fun! At the end I was helping one of the girls put her shoes on and she said the cutest thing! Stacey: These are very pretty shoes. cutie pie girl: Yah! They're my princess shoes. Stacey: Well that's pretty too. 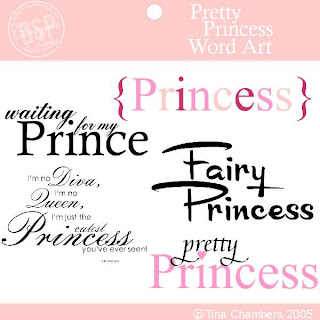 Are you a princess? cutie pie girl: Yes. But I'm not getting married yet. haha! Apparently, being a princess means you immediately get married! Cute! Kids can be so funny! 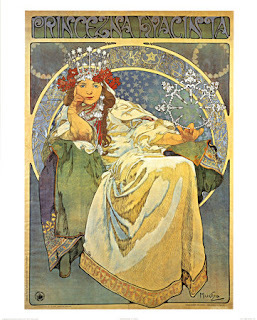 Love the Mucha print. One of my fave things in Prague was going to the Mucha Museum.